Memory Foam Mattresses - Which? The thought of having a mattress that mould to your body while you sleep sounds great. But do memory foam mattresses live up to the hype? We reveal all. Some people swear by memory foam mattresses, but they don't suit everyone. If you're tempted by one of these mattresses, you'll need to think about which type you want and how much you're willing to spend. Otherwise you might end up a dud that you'll wish you could forget. Memory foam mattresses, also known as memory mattresses, are topped with a layer of temperature-sensitive viscoelastic material (memory foam). 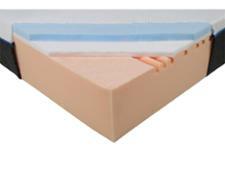 This type of mattress is good at relieving pressure on painful joints, but is usually pricier than sprung mattresses. Read on for more advice about memory foam mattresses. If you know you want one already, go straight to our mattress reviews. Memory foam is affected by room temperature, so you might find the memory mattress cold and hard when you first go to bed. As it reacts to your body heat, it moulds to your shape - this can make it more difficult for you to move or get out of bed compared to other mattress types. Memory foam also reduces air circulation around your body, which makes the memory foam mattress feel warmer. Many people find this helpful in winter but you may feel too hot in summer. 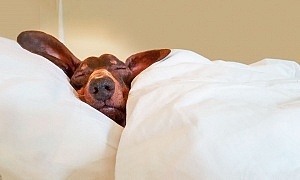 If you usually use an electric blanket, it's important to note that many manufacturers say not to use one with memory foam, as it's a potential fire hazard. But as a memory foam mattress is warmer, you shouldn't miss it. If you do, go up a tog on your duvet or add an extra blanket. Memory foam mattresses generally can't be turned over. But you can turn them around, and some mattresses have handles which make this easier to do. Memory foam mattresses are the second most popular type of mattress among Which? members. Nearly a quarter of the members we surveyed about their mattress had bought a memory foam one. Most memory foam mattresses are actually sprung mattresses with a layer of memory foam on top. Some, however, have extra layers of memory foam instead of springs. These are often described as pure memory foam, or memory foam-only, mattresses. They tend to be pricier and softer, but not necessarily better - some pure memory foam mattresses impressed in our tests, while others were poor. To find out more about the other types of mattresses, so you can find the best one for you, take a look at our guide on choosing the best type of mattress. Memory foam mattresses can cost more than £2,000, but our independent tests show that you don’t always get what you pay for. 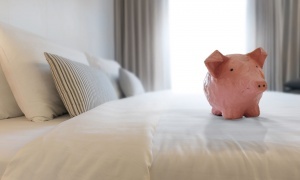 If you're set on memory foam but can't afford to spend thousands of pounds, we've found several cheaper options worth considering. In fact, we've found two Best Buy memory foam mattresses for under £400 - this is fantastic value for money. One has a spring core with memory foam on top, while the other is pure memory foam - great if you want a slightly softer mattress. Which? members can log in to read all our independent memory foam mattress reviews. If you're not already a member, join Which? 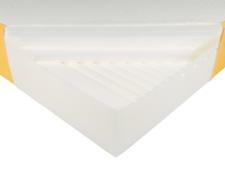 to unlock our memory foam mattress reviews and get full access to all the reviews. If you're not quite sold on a memory foam mattress, but fancy getting a feel for the how the foam moulds to the shape of your body, you may want to consider buying a memory foam mattress topper. 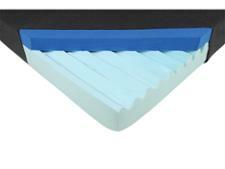 It won't make your mattress any more supportive, but it may make it more comfortable. 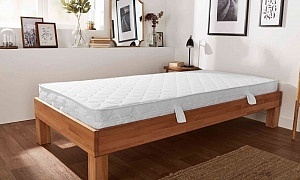 Four in five mattress topper owners told us that their topper had made their mattress more comfortable, when we surveyed more than 1,000 Which? members in April 2017. If you're thinking about buying a mattress topper, be sure to look at our list of the best mattress topper brands.